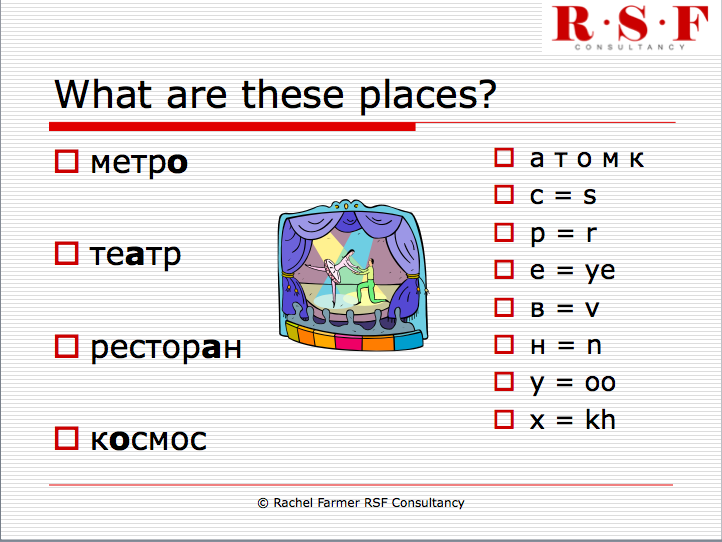 Still using the 5 familiar letters and the 7 false friends, have a go at reading the names of these places. The first three are places that you might see around town and the fourth is a bit of a trick! Remember, read the words out loud and don’t scroll down for the answers until you’ve worked them out yourself. Did you get metro, theatre, restaurant and cosmos? Well done!